Our staff at Jackie Cooper Tint & Electronics is the best in the business! 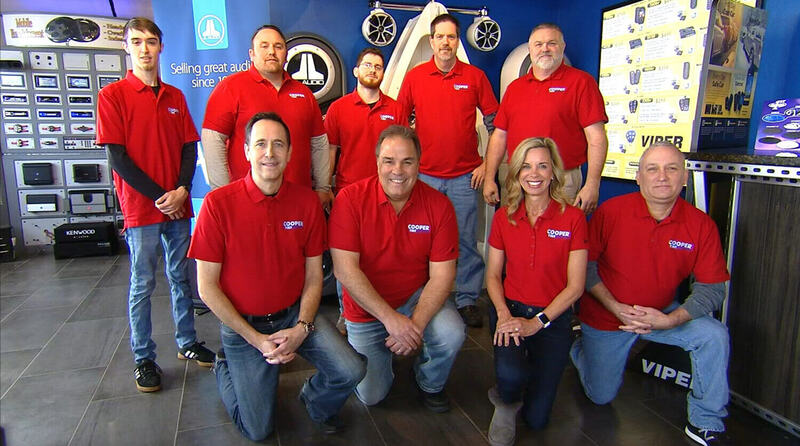 We have the most dedicated and knowledgeable installers and sales staff in Oklahoma with most having 20+ years employed with Cooper! We believe in delivering exceptional customer service every time. If you are in the area, stop by and see the latest we have to offer in automotive, residential and commercial window film, as well as the most current and top of the line technology for all of your car audio, video, security and custom vehicle needs. Our super-center is located at 8001 N. Rockwell Ave, just south of NW Expressway. Our state of the art showroom and 8 install bays are sure to impress! We are the OKC Reader’s Choice Award winner for several consecutive years and know we are THE candy store for your car! Call 405-848-8656 or come by today!